Have you ever wanted to learn the art of modern calligraphy? 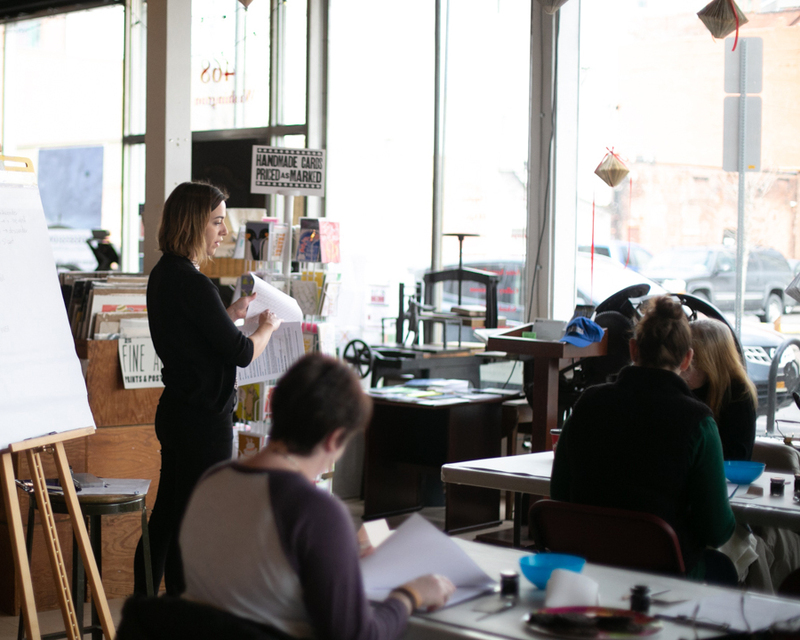 Skip the learning curve with a beginners calligraphy workshop from Ink & Matter! Modern Calligraphy stems from traditional pointed pen calligraphy. While traditional styles were focused on creating near perfect letterforms and slants, modern calligraphy encourages the writer to break the rules and explore the flexibility of the tools. Workshops focus on teaching you the basics to get started (you have the learn the rules to break them! ), then you are encouraged to continue your practice by creating your own styles and exploring the tools. Learn to assemble and properly use a pointed dip pen, the basics of creating letterforms and words, and tips for continuing your practice. You will receive all supplies, including an instructional alphabet and list of useful resources, one-on-one guidance throughout the workshop, and plenty of time to practice. No experience required! In addition to my regular beginners workshops, I will be offering a limited amount of intermediate classes for those who have already taken the beginners class. The intermediate calligraphy workshop will be completely hands-on, and we will address things like: creating new styles, flourishes, and using colored ink. Be sure to sign up for my email list below to be notified when intermediate classes are launched! No workshops scheduled at this time. Sign up for my newsletter below to be notified as soon as workshops are scheduled! Sign up with your email address to receive information about upcoming calligraphy workshops and resources to learn or improve your calligraphy. I will never send you spam. Promise.